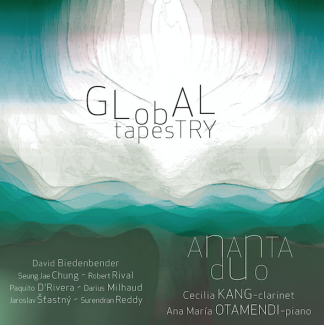 The Ananta Duo was co-founded by clarinetist Cecilia Kang and pianist Ana Maria Otamendi. 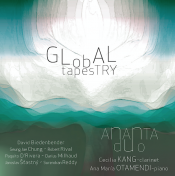 The word, ananta means "infinite” in Sanskrit and the duo is committed to exploring eclectic music beyond borders to promote classical music and address contemporary social issues. Clarinetist Cecilia Kang is a recipient of top prizes and honors from the Canadian Music Competition, the Montreal Symphony Orchestra Standard Life Competition, the Embassy of the Republic of Korea in Washington DC, the Canada Council for the Arts, and the Metropolitan Arts Council. She has performed at Thy Chamber Music Festival (Denmark), IMPULS Contemporary Music Festival (Austria), Grumo Music Festival (Italy), Castleton Music Festival (USA), Luzerne Music Center (USA), Bay View Music Festival (USA), Clarinet Colloquium (USA), Collingwood Music Festival (Canada), Banff Centre (Canada), International Clarinet and Saxophone Festival (China), Interflows Music Festival (Hong Kong), and at ClarinetFest. 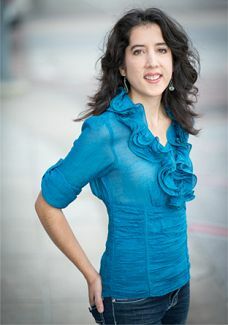 As an adjudicator and reviewer, she has served on behalf of the International Clarinet Association, the Music Teachers National Association and the Nineteenth-Century Music Review Journal. She has also presented lectures and pedagogy clinics at conferences hosted by the College Music Society, the International Clarinet Association and the Midwest Clinic. Dr. Kang obtained her degrees from the University of Michigan, the University of Southern California, and the University of Toronto. She currently serves as Assistant Professor of Clarinet at Furman University (USA). Cecilia Kang is a Vandoren and Buffet Crampon Performing Artist and Clinician.